First layer: 3&1/2" by 4" piece of green grass patterned paper. Center and glue about 3/4" from the top of the yellow cardstock base. 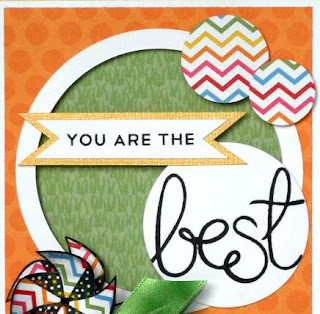 Glue this border around the circle in the orange dot patterned layer. Then foam tape the entire layer to the card front (make sure the green grass is all you can see through the circle. To make the pinwheel....I stamped the pinwheel twice using Black Tuxedo Memento Ink, on the chevron patterned paper. I fussy cut out the entire pinwheel, and then just the top of the pinwheel--this piece was foam taped to the entire pinwheel. I curved the edges up slightly to give it some pop. I also stamped the pinwheel one more time on green pearl cardstock, and cut out just the handle of the pinwheel and glued it to the original image. To finish the card, I cut a 3&1/2" by just a little over 3/4" piece of yellow pearl cardstock, wrapped and tied this with a green bow, then glued to the bottom of the card front. 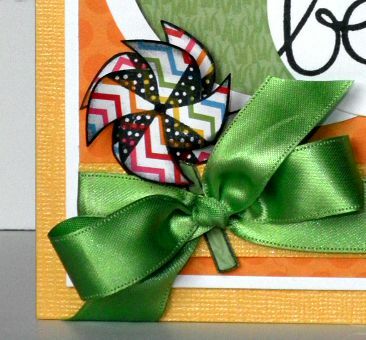 I slipped the pinwheel under the bow, using Scrap Happy Glue to adhere it. Thanks for stoppin' by today! 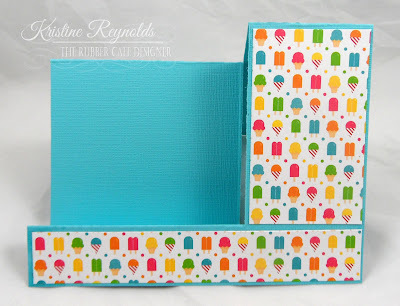 Hope you've enjoyed all the bright, fun inspiration from this month's kit! More coming.....stop back soon! 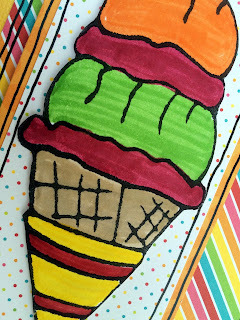 Who visiting here, doesn't want the largest ice cream from the ice cream parlor? If you do, then this post is for you! 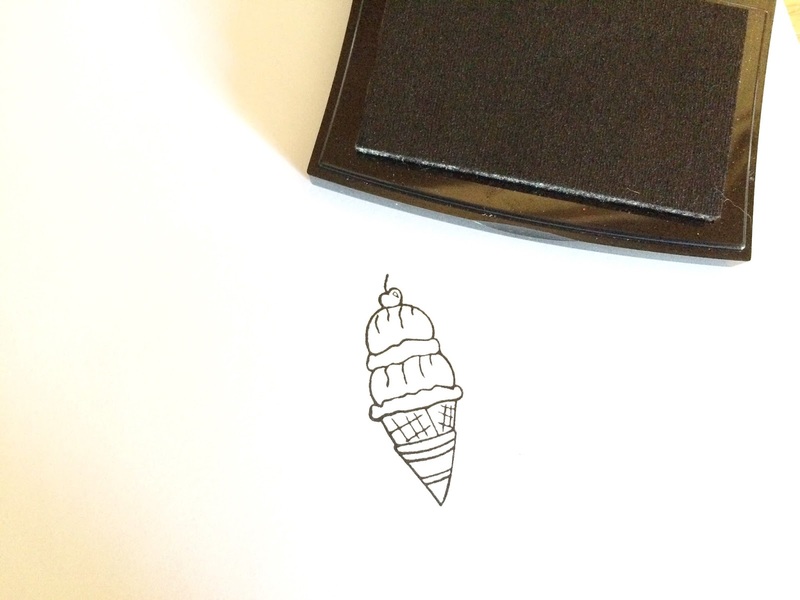 Since my family is avid ice cream fans, none of the same flavors, I felt obligated to use the ice cream stamp. It is included in the Creative Cafe July kit - Too Much Sun. You don't see it? I may have tricked you a bit! I'll explain, but first lets look at my card. Now, lets take a look at how it all came together. 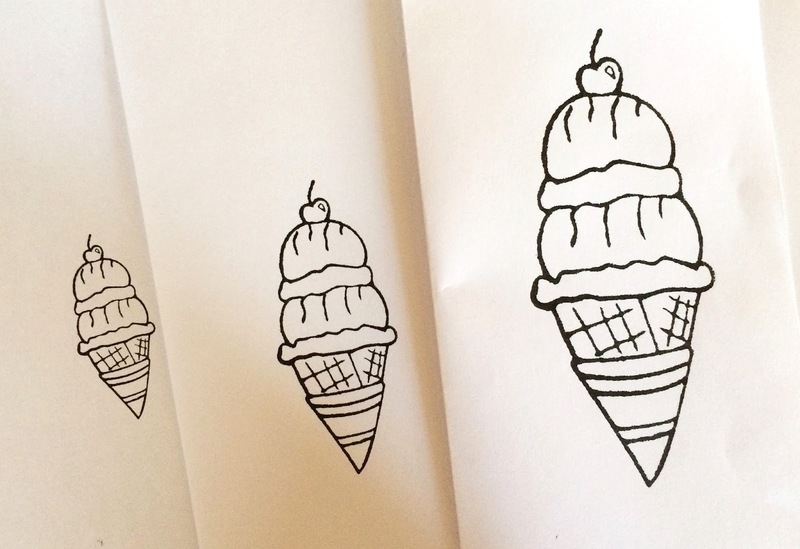 with ice cream, bigger is always better. I placed it on my copier and magnified it. I had to copy and magnify it another time, to get it to the size I wanted. This is all on regular paper. 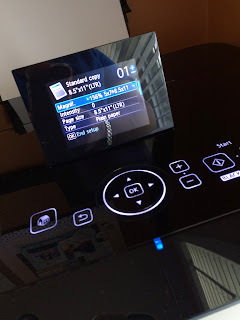 I then added a piece of cardstock to my copier and re-copied the largest size. 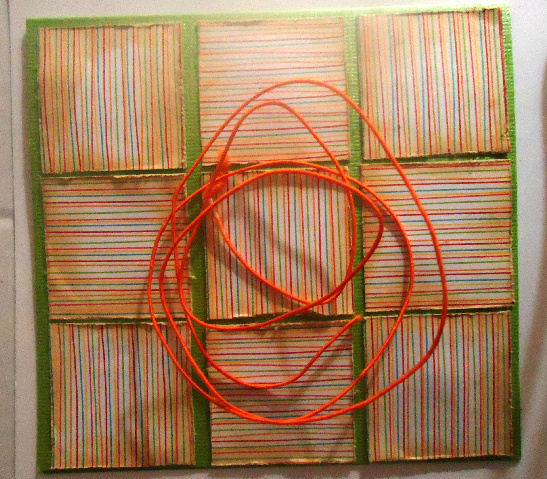 Then, I colored and fussy cut this out, backed it with foam tape before adding it to layered papers on my card. 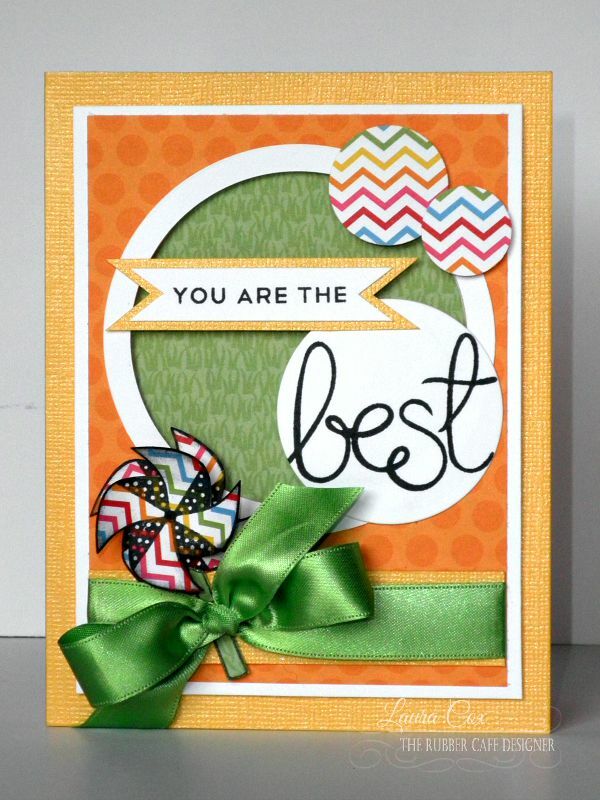 A couple things, the bright colors of the papers required bright color markers for this card. Don't look close at my coloring but do take a look at the stamped, enlarged image. This here shows you the quality of the stamp itself is incredible. 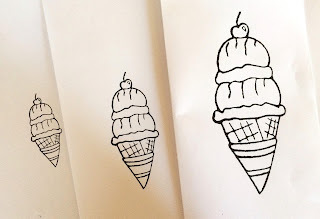 I have used this technique before with different stamps. Usually the larger you blow it up, the more grainy and spotty the outline will be. Not here. The outline is still as crisp and strong as the original stamp! I hope I have inspired you to maybe try this technique. 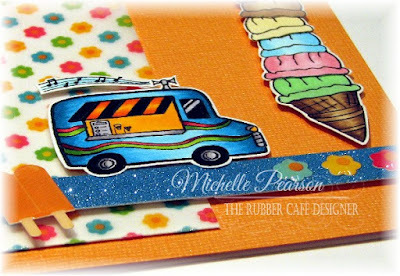 It is super fun and these stamps will hold up for you. 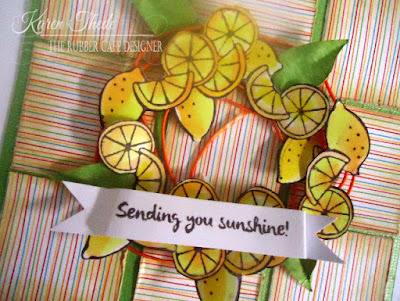 How cute would the lemonade and lemons look? Oh, maybe I will try that next! 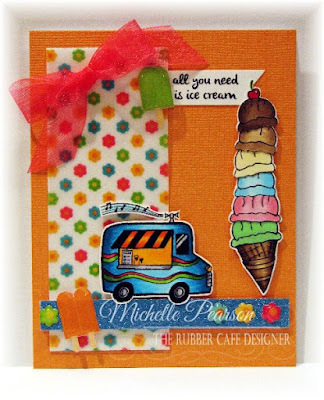 I've been having lots more fun playing with the July Creative Cafe' Kit of the Month from The Rubber Cafe'. This month's kit is called Too Much Sun and it is full of bright, fun, papers, and embellishments. 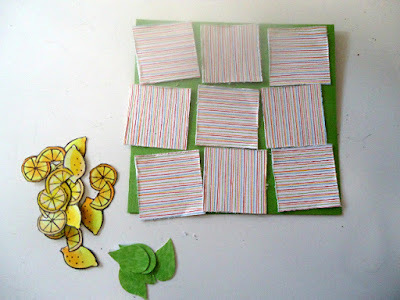 Just playing with all the brights papers and stickers makes me happy! 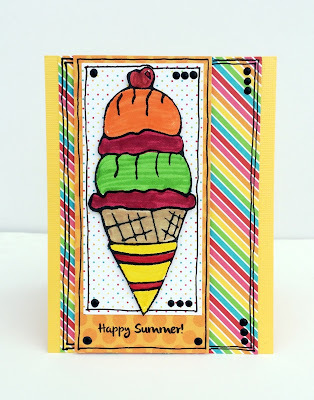 A Side Step Card that features a big yummy ice cream cone from the kit stamp set and a fabulous sentiment from the add on stamp set, The Perfect Sentiment. 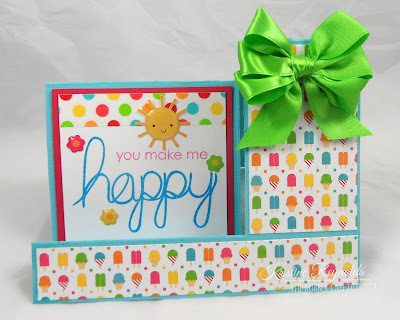 To make this card I cut an 11" x 8 1/2" panel of aqua cardstock in half to create a 5 1/2" by 8 1/2" inch panel. Then I used my Scor-Buddy to score on the dotted lines. 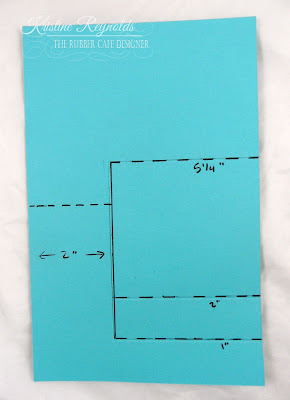 I used my paper cutter to cut on the one solid line. 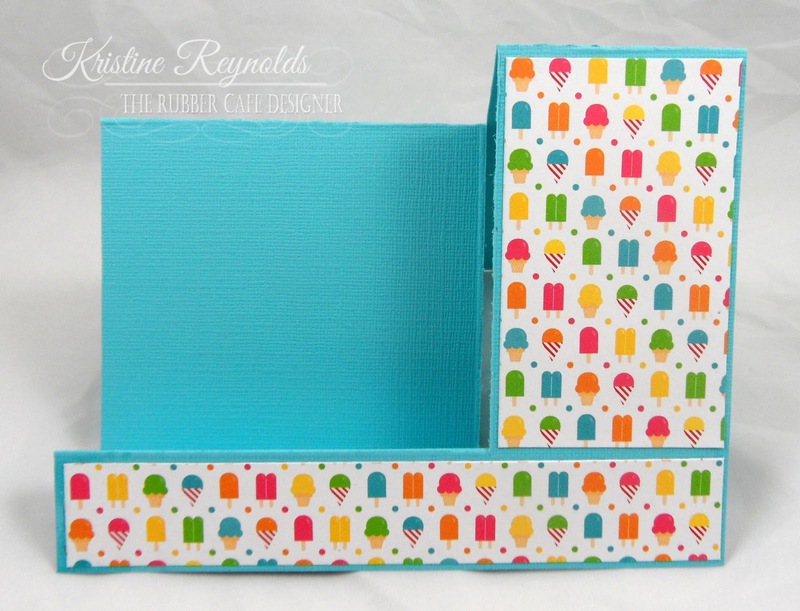 Then I folded my card to create the card base. I adhered patterned paper from the Doodle Bug "Sun Kissed" paper pack to the card base using Scrap Happy Glue. 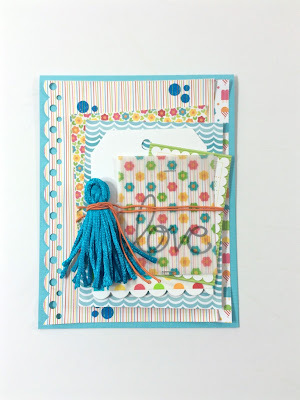 To create the sentiment panel I stamped the words with Memento Rose Bud and Bahama Blue dye ink. I added a strip of Washi Tape from the kit to the top of the panel and then adhere it to a slightly larger pink panel with Scrap Happy Glue. I created the awesome bow with the green ribbon from this months kit and my Bow it All. 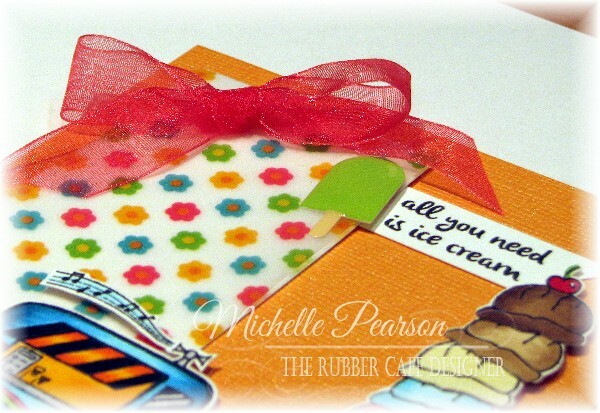 Then I tied the bow on to the card and added the stickers. The final touch was to stamp the ice cream cone on a die cut oval shape with Memento Tuxedo Black ink and color with Copic Markers. Then I backed the panel with a scallop edge pink die cut oval and adhered it to the card with Scrap Happy Glue. 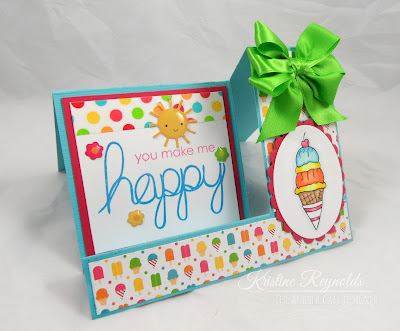 That's all you need to do to create this fun side step card that anyone would be thrilled to receive! Hi everyone! 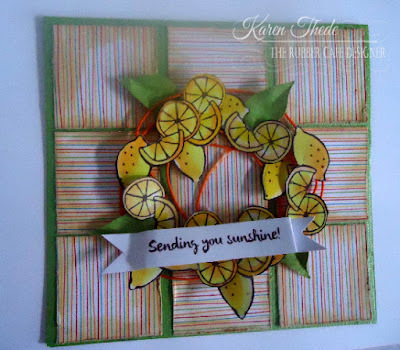 Ready for more inspiration for this month's gorgeous Too Much Sun Creative Cafe' kit? 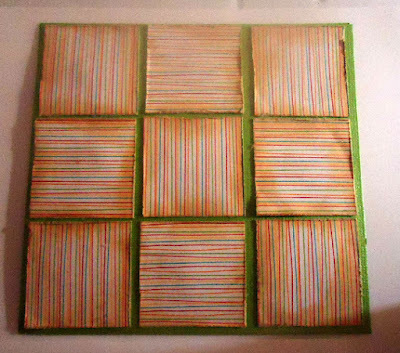 Next Layer: 5" by 3&3/4" piece of white cardstock....and brush 3 colors of ink on card. 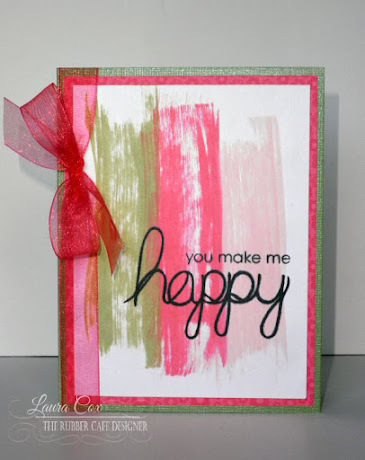 This was a direct ink pad to paper swipe, using mini distress ink pads-Spun Sugar, Worn Lipstick, and Shabby Shutters. You can do this with any ink pad, and try different sizes and ways to swipe to get different looks. 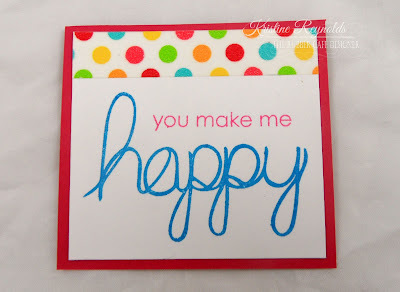 Then the sentiment was stamped directly on this in Black Tuxedo Memento Ink. Then it was glued to the card front using Scrap Happy Glue. 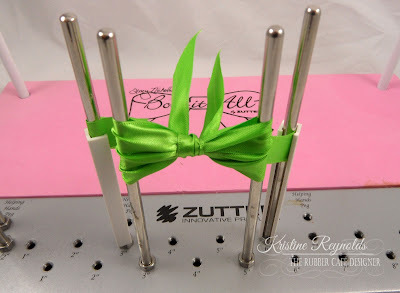 To finish, I tied a bow around the left side of the card. 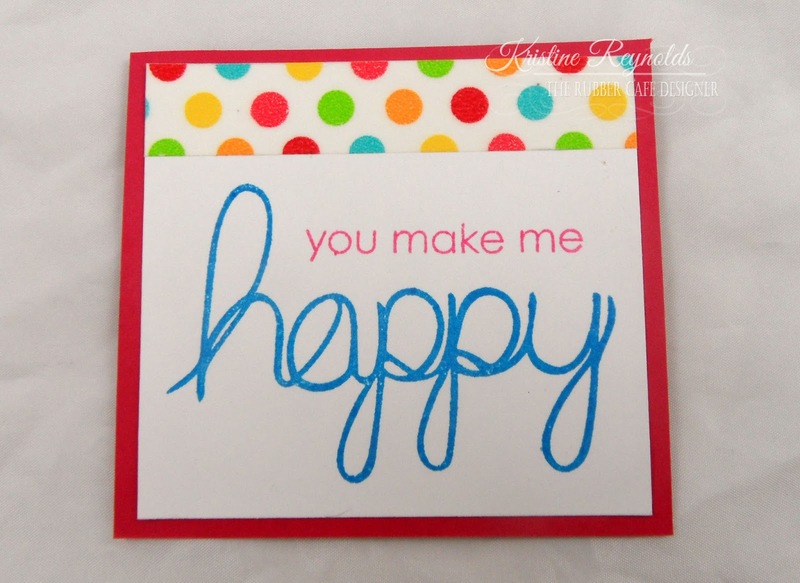 This is a great type of card to mass produce with any sentiment you'd like, so you can have them on hand, or give as a gift. I used the same piece of tape for the light pink, and then the dark pink, and tore off a new piece for the green so the colors didn't get muddy. A similar take on the ink background, with a little different technique. 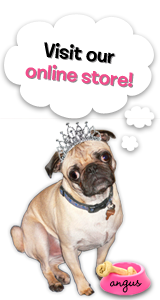 Thanks for stoppin' by today.....stop back soon for more inspiration! 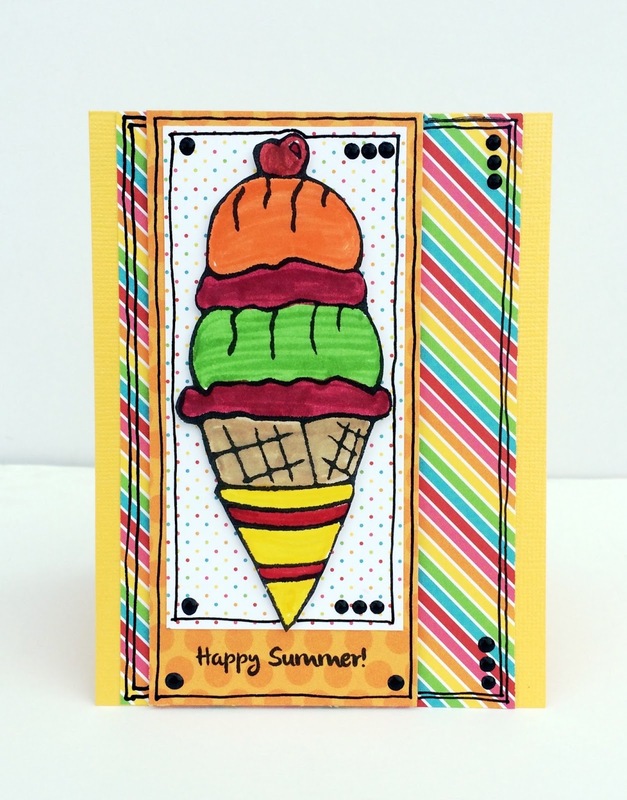 I am loving today's card using The Rubber Cafe's Too Much Sun Creative Cafe Kit. The images are from the Fun in the Sun set included in the kit. 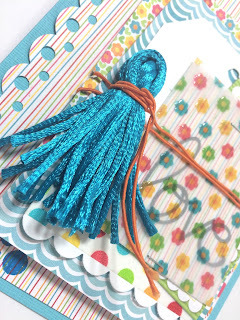 I added a bit of You're So Fine Glitter in Blue Skies to my supplies for this card. 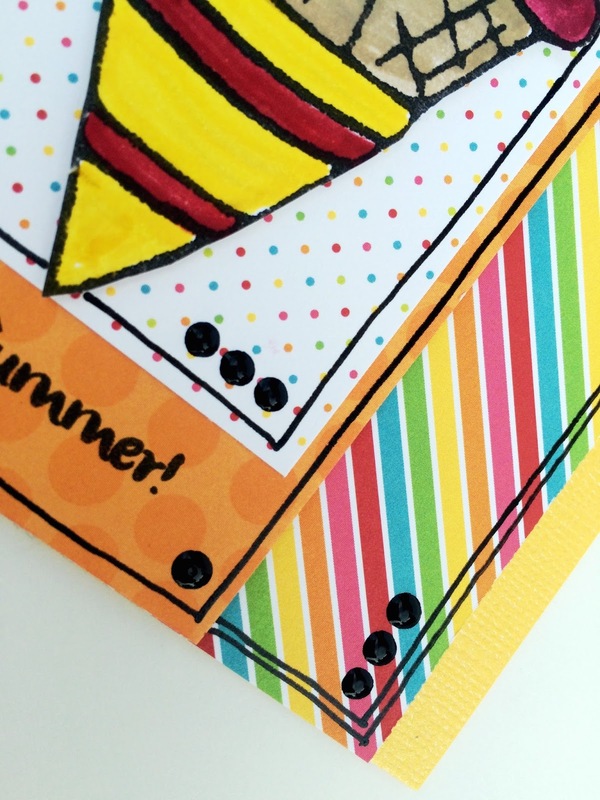 Fun tip: The glitter strip is a cut-off piece from the panel I created on my last card. I don't throw away my glittery bits and pieces....they always add a pop of fun to a future creation! 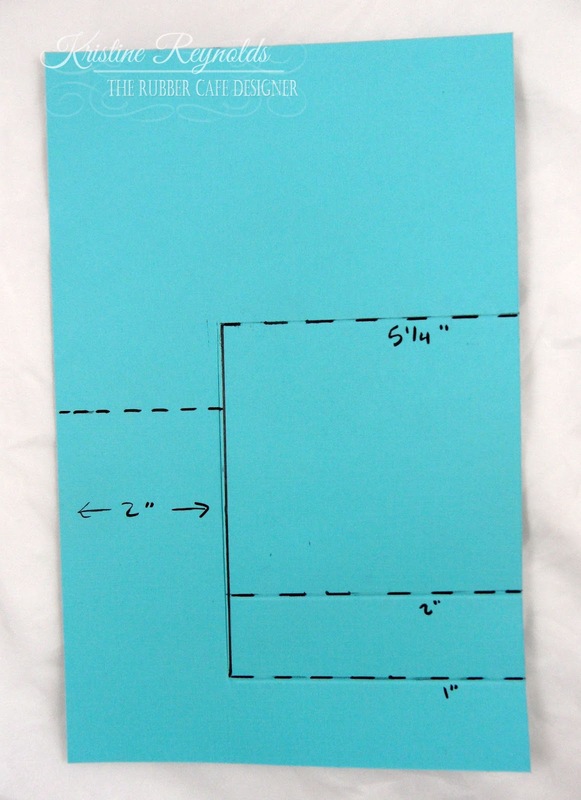 You can see for the vellum panel that I folded the vellum around the back of a piece of 4 3/4 x 2 inch white cardstock. I few well placed mini-glue dots behind the flowers holds my vellum down along the vertical edges. I colored my images with Copic Markers and I just felt like if a little ice cream is good a whole bunch would be much better! I tucked the sentiment under the vellum panel and anchored it with a sticker from the kit. 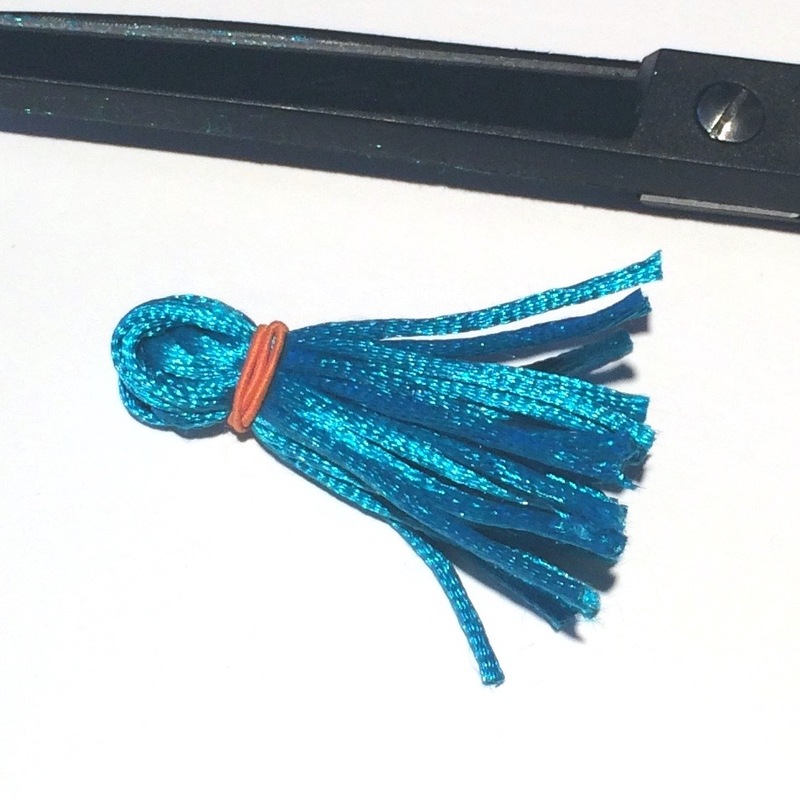 I am going to share a technique with you today that is with that stunning teal ribbon that is included in this months Creative Cafe Kit - Too Much Sun. First lets look at the complete card. 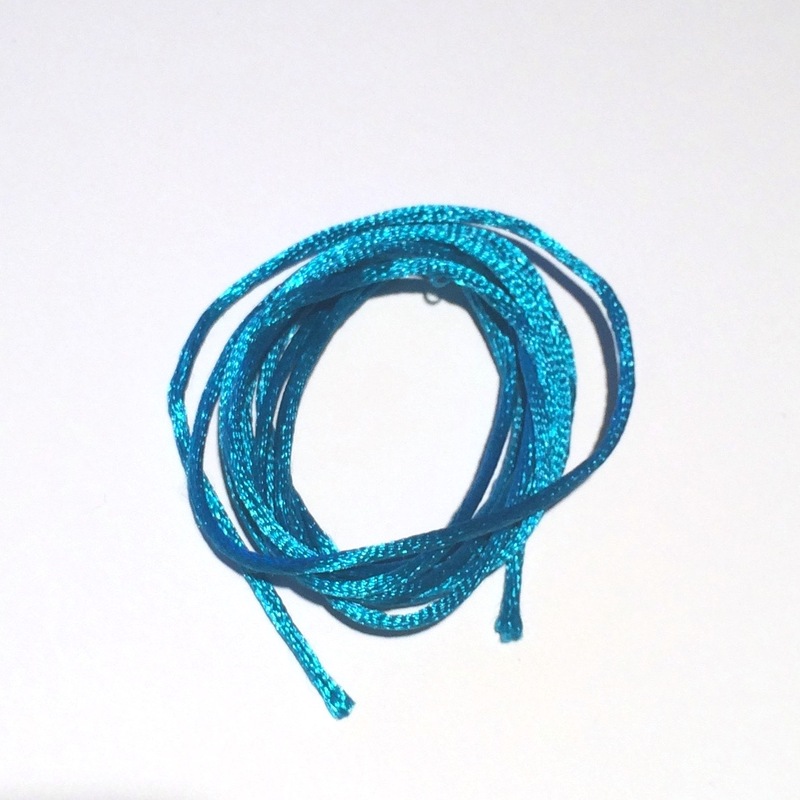 First, I wrapped the entire length of ribbon around my three fingers. Tightened it towards the top and wrapped the orange metal wire around to keep it in place. 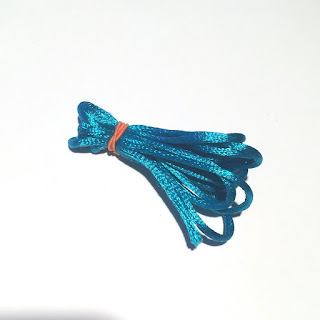 Trimmed the opposite ends loops so they hang like a tassel and trimmed them to be even. Now, this may be too bulky for you. It does stick out from the card quite a bit. Keep this technique in mind for your next gift bag or for the next card that you hand deliver. 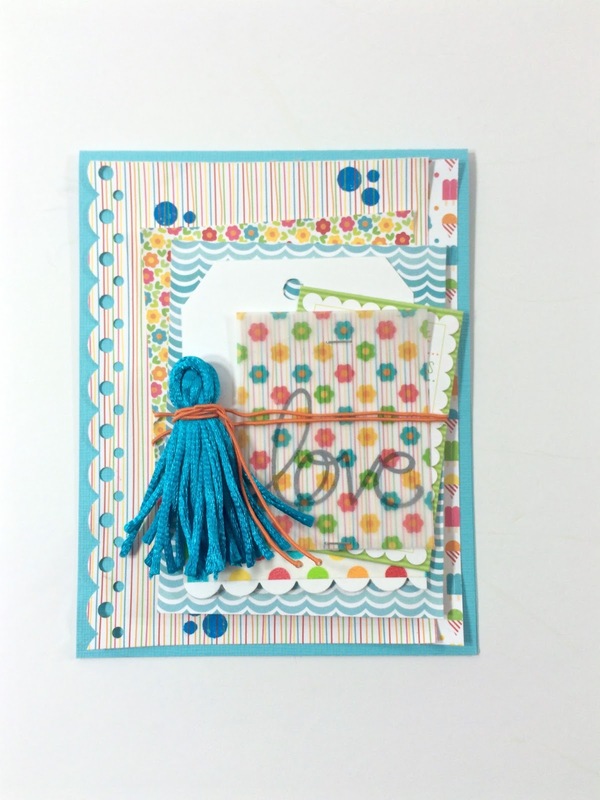 Layer those gorgeous Doodlebug papers to your liking. 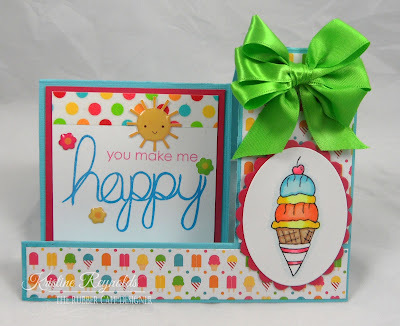 I used some of my very old border punches for bit of character. See you next week!